From old American Classics, Europes beauties, Race cars, the get around family car to the newest vehicles on the market...TyreFirst Waikanae is the place to go if you are needing a wheel alignment. 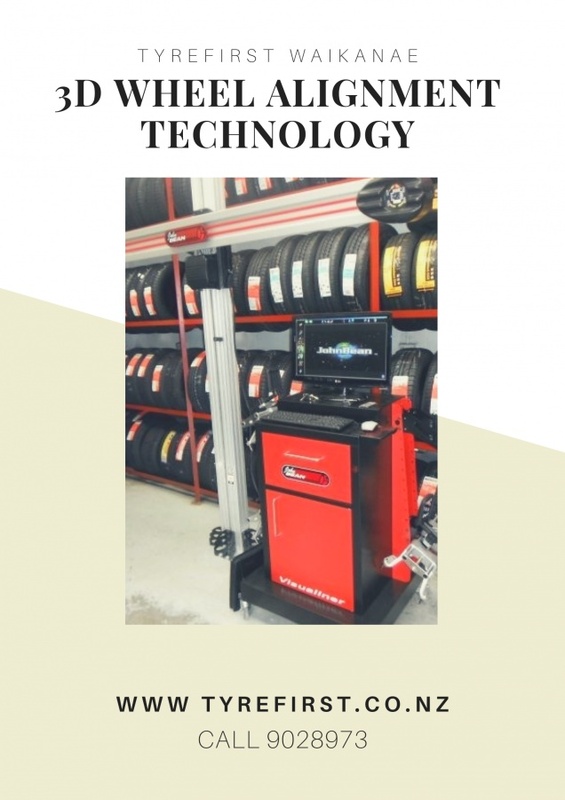 The 3D Wheel Alignment system they use is John Bean V3D2 X-CEL Wheel Alignment System which is one of the most advanced alignment systems on the market today. Patented imaging technology provides accurate and real-time . Extensive vehicle specification database delivers customer satisfaction and accuracy. Patented features such as Cross-Diagonal and Rolling Radius identify frame or structural damage as well as mismatched tyre sizes. GETTING A WHEEL ALIGNMENT can help your tyres to wear evenly...help your car to drive straighter...ensures your steering wheel is centered...talk to Brooke who is a wheel alignment specialist and let him know the issues your car is having to see if a wheel alignment can improve its performance.